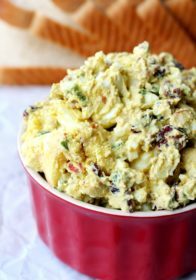 Curried Egg Salad- the traditional egg salad gets a kick of flavor from one of my favorite antioxidant-rich seasonings. If your Easter bunny hides “real” hard-boiled eggs, like mine does, you’re going to end up with lots of extras. 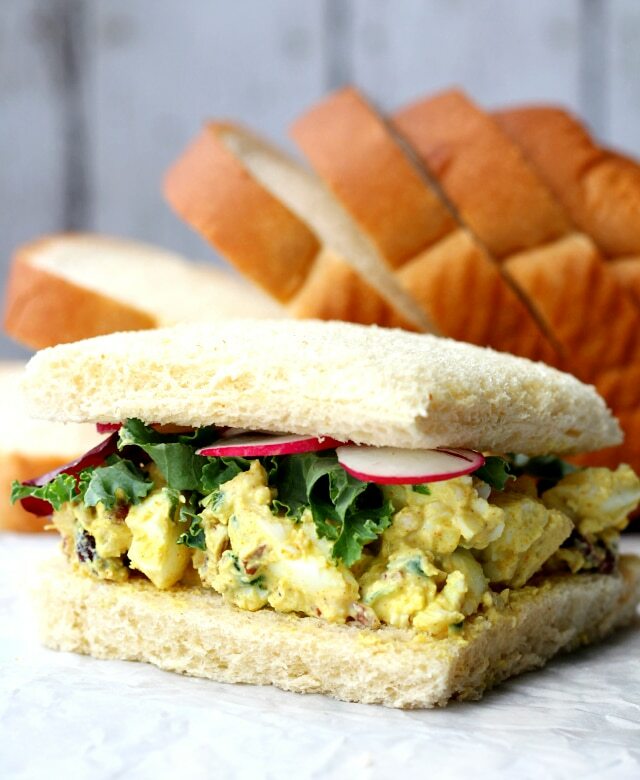 This curried egg salad is the most delicious way to make good use of all those boiled eggs! Hope you all had a great Easter (if you celebrate). My family had a great weekend. 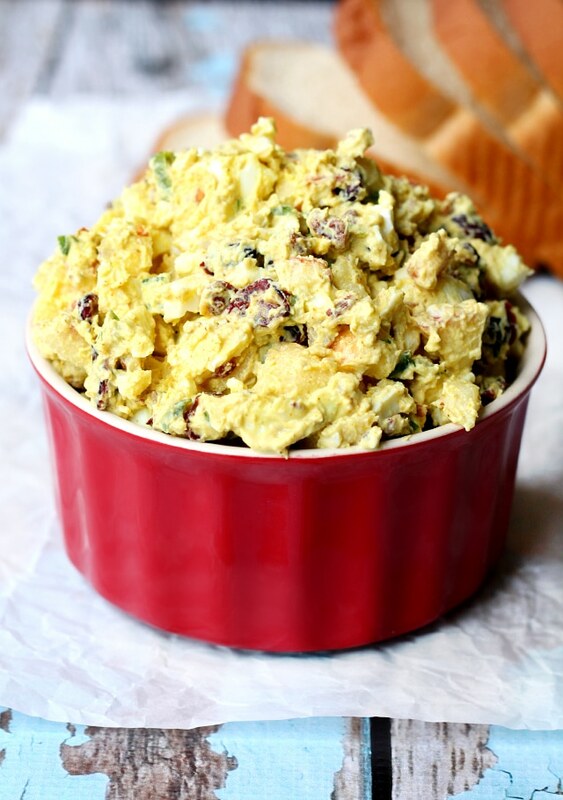 We started the weekend off with our tradition of coloring Easter eggs and you better believe I’ll be remaking this curried egg salad with the boiled eggs. On Sunday, I made a very untraditional lunch for the family. I let my older daughter choose the meal and she wanted shrimp with pasta. 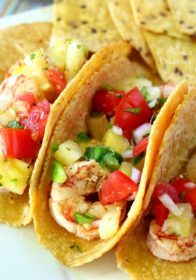 I loosely followed this shrimp scampi recipe from The Pioneer Woman. It was delish! 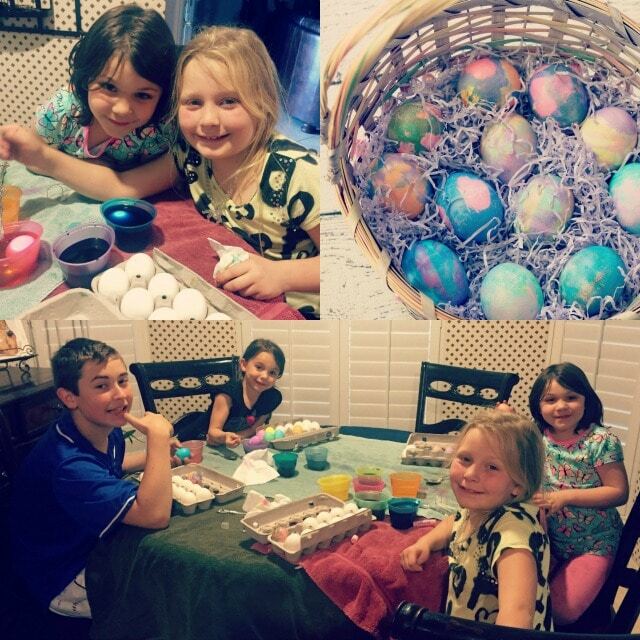 The kids had a fun time hunting their Easter eggs and receiving their gifts from the Easter bunny. It was a great day! Madelyn received the game, UNO, from the Easter bunny. I couldn’t even tell you how many games of UNO we played. It’s a good thing I like games. 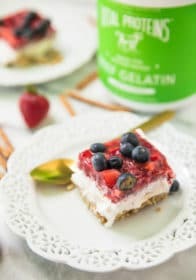 1/2 cup plain Greek yogurt I use nonfat. 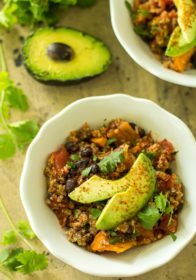 Combine all ingredients in a medium-large mixing bowl. I like to mash everything together with my hands. 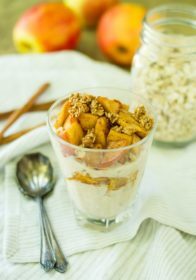 Serve on crackers, bread or in a wrap. Enjoy! 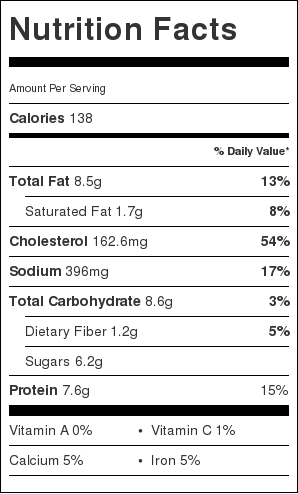 Nutritional value calculated for 1/3 cup servings; which is perfect for sandwiches and wraps. Makes 7 servings. Did you have a fun Easter? Do anything super creative with your eggs? 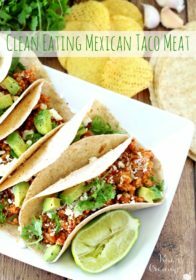 Did you eat anything extra delicious? 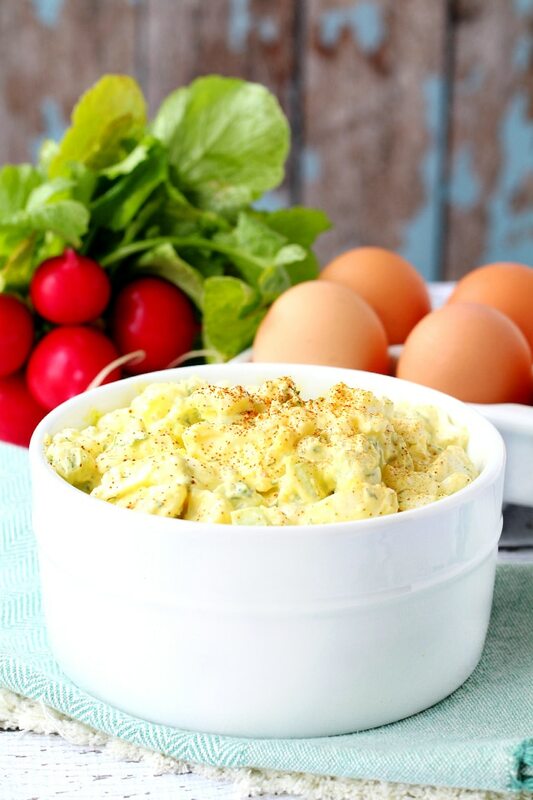 If you’re an egg salad fan, you’ll also be crazy for my skinny egg salad! 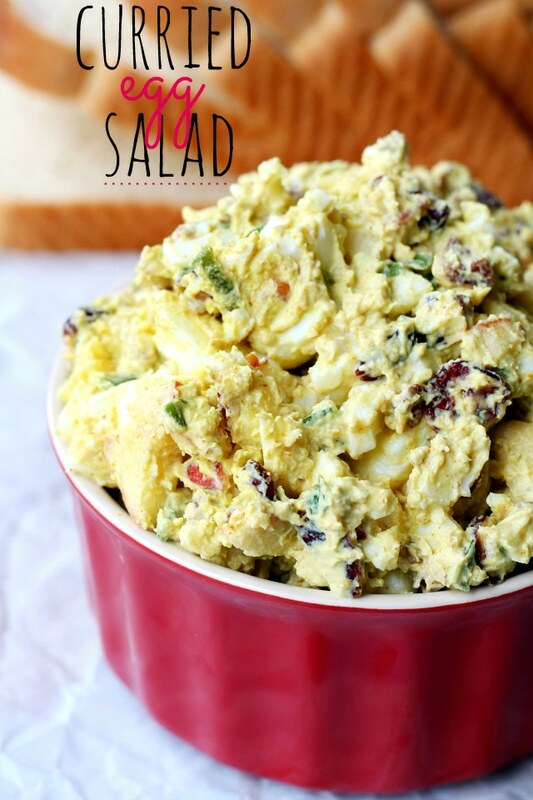 I’m so glad your family has enjoyed the curried egg salad! I know I’ve made it 3 times since posting it! My granddaughter has that same cute butterfly shirt. Perfect for the Easter holiday and colored eggs. 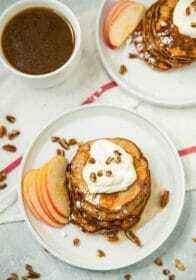 : ) Pinning this recipe. Enjoy… it’s one of my favorites!